Exquisite Saint Augustine has been a popular place in Florida for a long time. Perhaps the oldest of all western settlements, Saint Augustine is one of the loveliest cities in Florida. If you are looking to settle here personally, you’ll want a home that feels right. 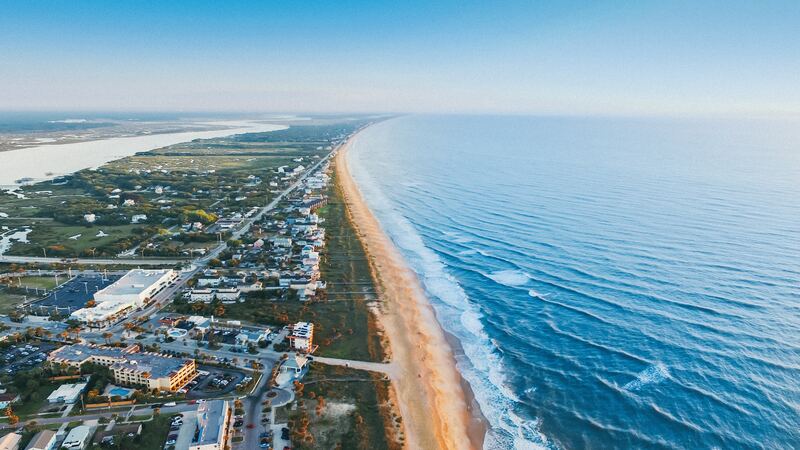 It’s best to think about the area’s neighborhoods as well as factors such as the overall housing costs and your access to places like the beach from the house you’re going to buy. Part of the city lies along the Atlantic Ocean. This area tends to be pricier than the rest of the community. If you have your heart set on living next to the beach, keep in mind you might have to bring in a larger budget. If you’re handy, this is a good place to look for properties that might need just a little bit of TLC to bring them up to code and ready them for sale to someone else for a nice profit. Areas further inland also have a great deal of appeal. If you’re looking for an area that tends to be family friendly, consider the Vermont Heights neighborhood. This is a good choice for those who prefer to establish intimate connections with others and build long term community ties. Like other parts of the country, new construction in the area tends to go for a premium. Buyers who are looking for a home that has all the latest updates can choose this route. Consider contacting construction companies directly. A company might be willing to offer a discount if you are willing to accept a basic model. You can always add in your own touches later as you move in. It’s ideal to remember that in general, housing costs in Saint Augustine tend to be slightly higher than average for Florida as as well as higher nationwide. This is why you might want to take your time and look closely at all properties on the market. You don’t want to rush into the purchase. Look for homes that offer you lots of potential options. If you are commuting each day, take the time to test out the route before buying in that area. Roads can be congested during rush hour. You don’t want to spend all of your time here behind the wheel. In addition to some of the most popular areas, Saint Augustine has lots of smaller areas that constitute neighborhoods of their own. These are not always immediately obvious. If you’re looking for an out of the way place that gets little traffic, speak to residents. They can point out areas that are not as well known but offer a wonderful place to start a family or retire in the sun. Some areas such as the area around Tocoi Road tend to attract specific groups such as military families. It’s best to know this before you begin, and a local realtor can help you with that search. Unlike some other parts of Florida, Saint Augustine has a more diverse economy. This is where you’ll find lots of apartment buildings and plenty of things to do all year long. Living in the downtown area or near it can be a good idea if you want to have easy access to a relatively compact area that makes it easy to get around without having to drive everywhere. This is also a good option if you’re about wanting to spend time outdoors and have all the amenities of a modern, vibrant city at your fingertips. If you’re a little bit hard pressed for cash, consider adding in spaces that let you rent out space. The tourist market in the area tends to be strong all year long. You’ll be able to offer a place for those who are looking for a comfortable alternative to a hotel. Just make sure you have all permits in place before you begin. Renting out a part of your home for a day or two each week is fine. However, if you’re planning to go bigger, getting all legal permits in place is imperative.